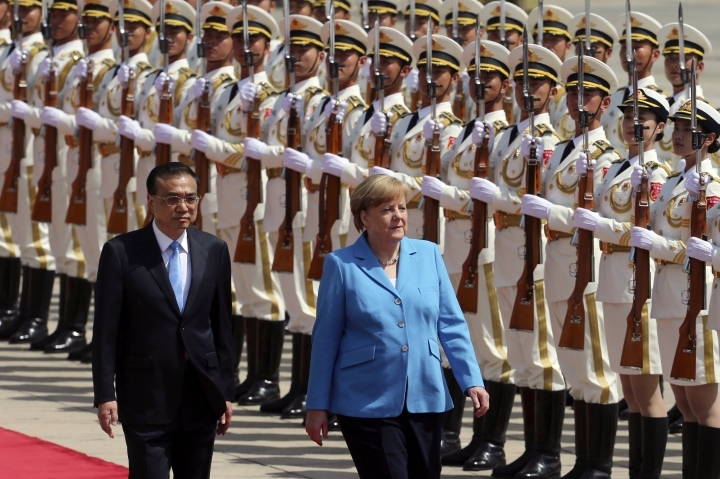 BEIJING — Premier Li Keqiang said Thursday that China welcomes German companies during a visit by Chancellor Angela Merkel that gives Beijing an opportunity to try to recruit an ally in its trade feud with U.S. President Donald Trump. 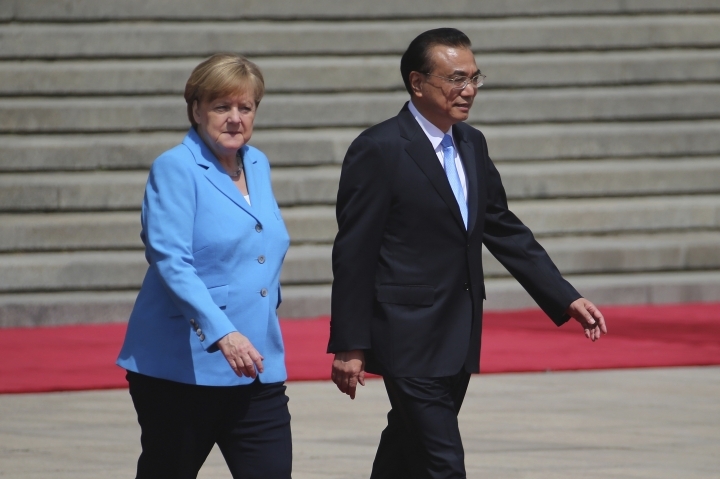 Both China and Germany are embroiled in disputes with Washington, though German officials say Merkel is committed to trans-Atlantic ties and isn't looking for new alliances. Li, China's No. 2 leader, and Merkel also expressed support for the Iran nuclear deal rejected by Trump and for the global trading system that free trade advocates worry is being challenged by his embrace of import controls. The two leaders stressed positive aspects of their relations, despite an array of disputes over issues including market access, human rights and Chinese controls on foreign investment. 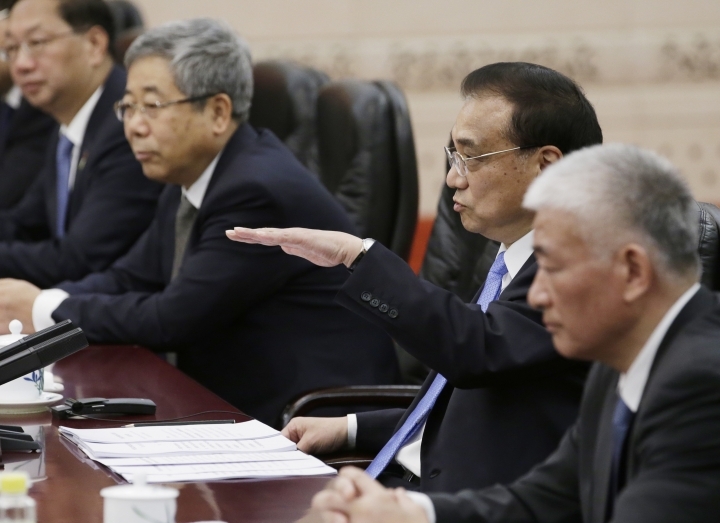 Li repeated official pledges that China welcomes and will protect foreign investment. 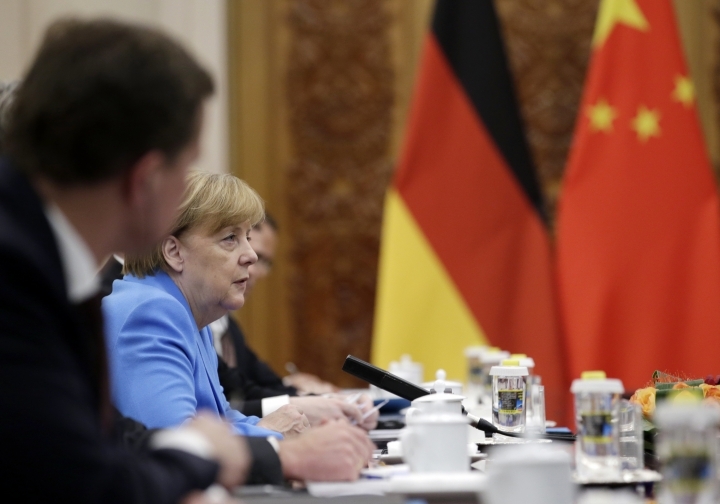 But during an appearance with Merkel, he gave no indication they made progress on German complaints about market barriers and controls that block foreign acquisition of most assets in China while Chinese companies are on a global buying spree. 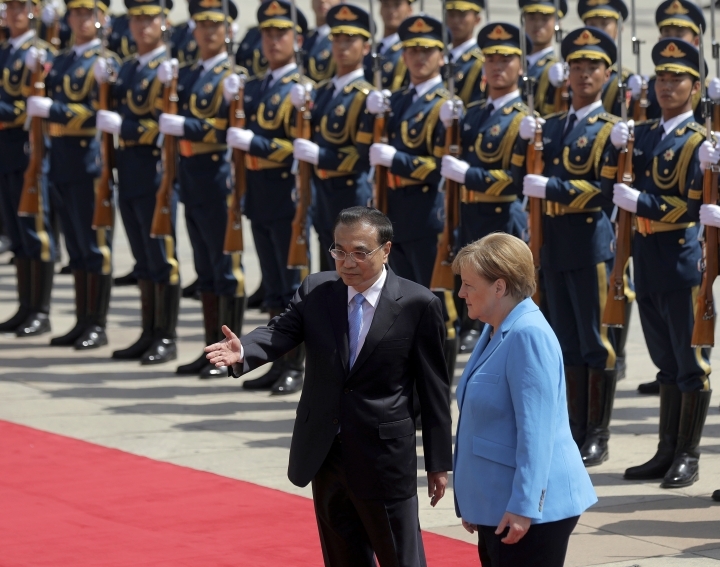 "I welcome German businessmen to come to invest in China," said Li. "China's door is open and will be open wider." 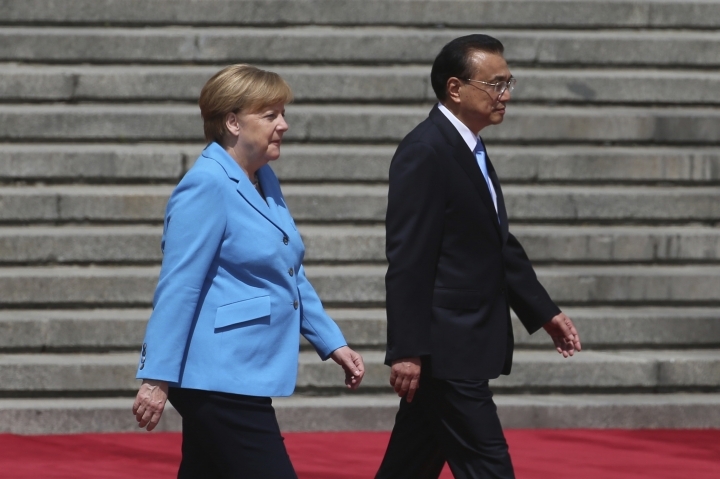 Merkel broached the topic of access in a later meeting with Chinese President Xi Jinping, saying Chinese companies were increasingly entering the German market, "in some cases with very sophisticated technologies of their own. "This will stay with us in the coming years and as such the question of market access and reciprocity will play a big role," she told Xi. Merkel's visit follows a truce in Beijing's sprawling dispute with Trump over its technology policy and multibillion-dollar trade surplus with the United States. Tensions eased after China promised Saturday to buy more American goods. U.S. Commerce Secretary Wilbur Ross is due to visit Beijing, but it is unclear whether the two sides have made any progress toward a final settlement. Both China and Germany have been rattled by Trump's tariff hike on steel and aluminum imports. In a possible new blow to Germany, a major auto exporter, the Trump administration launched an investigation Wednesday into whether higher tariffs are needed on imported vehicles and parts it said might threaten national security. Merkel's visit is her first since she formed a new government. It follows visits to Washington to meet with Trump and to Russia for talks with President Vladimir Putin over recent weeks. 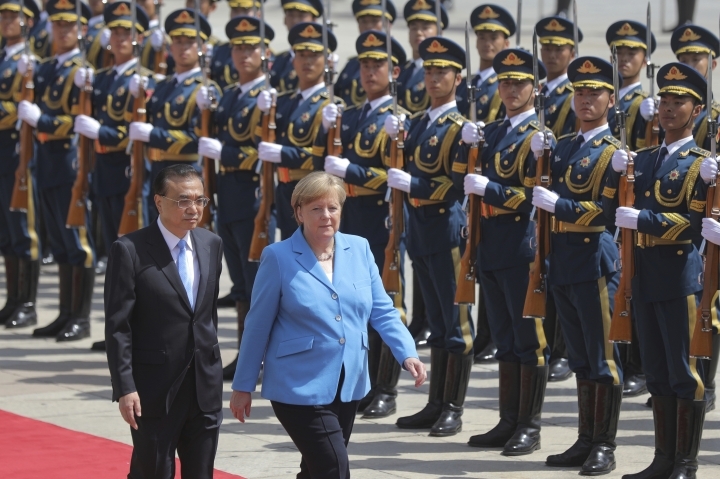 Merkel said before leaving Germany that despite common ground on trade and Iran, she planned to press China on "reciprocal access" to its state-dominated, heavily regulated markets in which many industries are closed to foreign competitors. That is one area in which Washington and Berlin agree China is violating its free-trade commitments. Merkel was accompanied by an 18-member business delegation representing chemicals, pharmaceuticals, auto manufacturing and other industries. Li repeated official assurances that China respects human rights in response to a question that mentioned Liu Xia, the widow of Nobel Peace laureate Liu Xiaobo. She is confined to her apartment despite never having been charged with a crime. Chinese activists have cited Germany as a country that might accept Liu Xia if she were allowed to leave China. On Wednesday, Amnesty International appealed to Merkel to call for her release. "China's constitution clearly stipulates that we respect and guarantee human rights," said Li. He noted Beijing is due to hold a human rights dialogue with Germany this year. "We would like to conduct dialogues with Germany on individual cases," the premier said. "We hope the relevant issue can be properly handled on the basis of mutual understanding, respect and equity." On the Iran deal, Merkel said Berlin feels bound by it despite Trump's announcement this month that Washington was withdrawing. 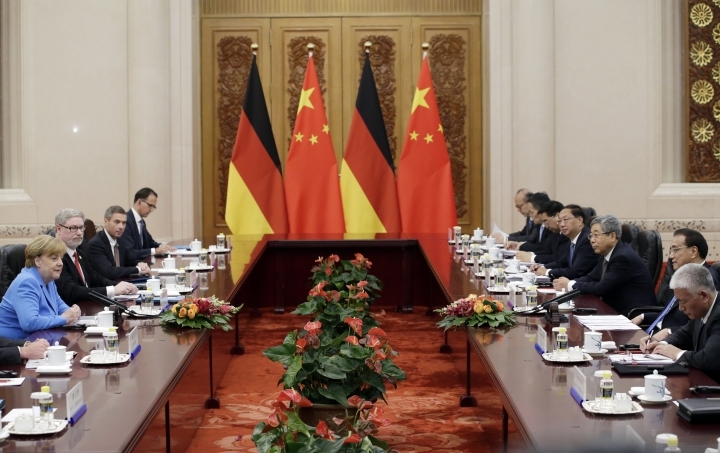 Germany and China were among the five nations that negotiated the deal and want it to continue. "It is not perfect either, but one always has to ask what the alternatives are, and the alternatives are even more precarious," she said. "In any case, we have a common position not to call into question this agreement." On Friday, Merkel travels to Shenzhen, a southern city that is home to Huawei, the biggest global maker of telecom equipment, and internet powerhouse Tencent. 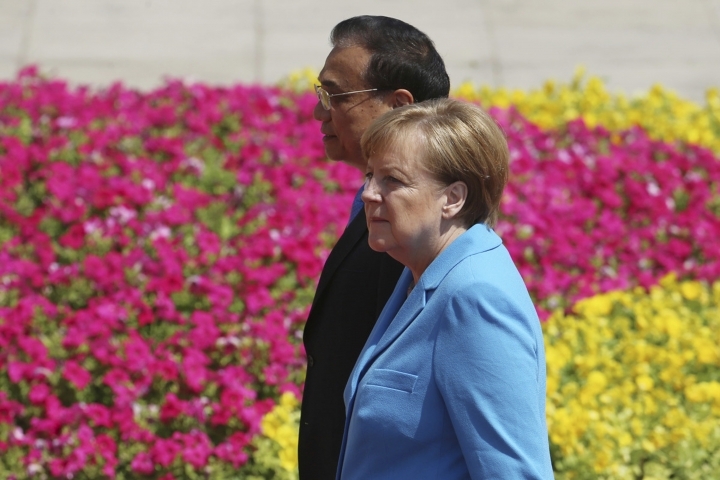 During talks earlier with Li, Merkel said, "Of course China's relationship with the European Union is important to me, and how Germany contributes to that." 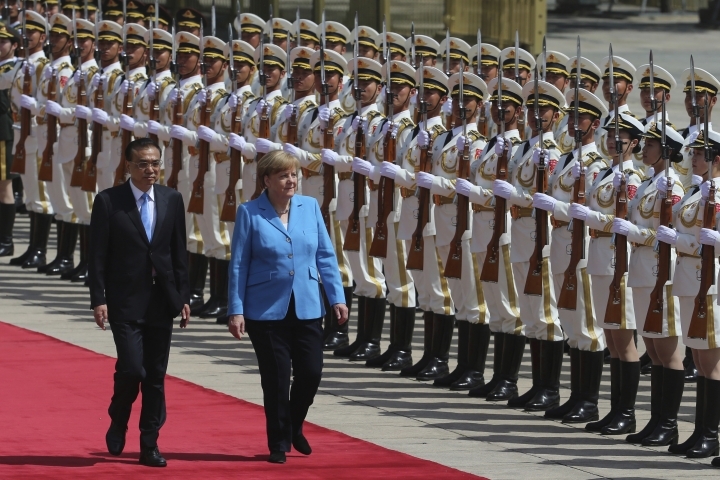 That could be seen as a reference to German concern that China's growing ties with Eastern European countries are undercutting the trade bloc's rules on bidding for government contracts and transparency. Merkel gave no details before reporters were ushered from the room.